Aadhaar case Explainer: What is the Supreme Court judgement all about? The Supreme Court on Wednesday will be announcing its judgment on the constitutional validity of Adhaar, the national identity card project the government which has been a subject of controversy ever since the time it was brought up and made mandatory. In case you have not been keeping a track of the incidents leading to today's landmark judgement, here is all you need to know about Aadhaar and the verdict. Unique Identification Authority of India or UIDAI is a statutory authority established in January 2009 by the government in order to gather and manage data for Aadhaar enrollment. Under the Aadhaar Act 2016, UIDAI is responsible for the operation and management of all stages of Aadhaar life cycle, developing the policy, procedure and system for issuing Aadhaar numbers to individuals and perform authentication and also required to ensure the security of identity information and authentication records of individuals. 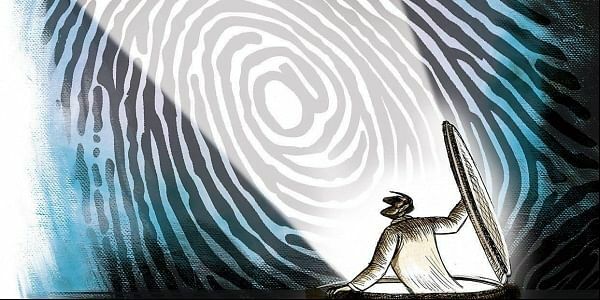 Aadhaar is a 12-digit unique identity number given to the citizens of India by the central government based on their biometric and demographic data. The biometric details used in the process include fingerprints and iris scans. The idea behind the Aadhaar was to make the identification of citizens less-complex and thereby improving the delivery of government services. It is the world's largest biometric ID system. How is Aadhaar different from any other identity issued by the government? Quoting the UIDAI website, "Aadhaar number issued to an individual shall not be reassigned to any other individual. An Aadhaar number shall be a random number and bear no relation to the attributes or identity of the Aadhaar number holder." The government had made Aadhaar compulsory for a host of services and welfare schemes, apart from bank accounts, PAN cards, mobile phone services, passports and driving licences. The Centre had defended Aadhaar on multiple grounds, the foremost being that it ensured proper distribution of benefits to millions and prevented siphoning of funds. HuffPost India had revealed that the Aadhaar database, which contains the biometrics and personal information of over one billion Indians, "had been compromised by a software patch which disables critical security features of the software used to enrol new Aadhaar users." According to the report, any unauthorized person from anywhere in the world can generate Aadhaar ID using the patch which is freely available for Rs 2,500. The report states, "the patch lets a user bypass critical security features such as biometric authentication of enrolment operators to generate unauthorised Aadhaar numbers". UIDAI, however, dismissed the report and said that the claims lack substance and are baseless. In 2012, Aadhaar got its first challenger, Justice K Puttaswamy, former in Karnataka High Court. He challenged the Government of India over making Aadhaar mandatory and filed a writ petition in 2012 and over the last five years, 26 other petitions have joined him, challenging the project. The following year, eight new pleas were filed in the apex court. Four challenges were subsequently filed in 2014 and five in 2015. Another 12 challenges cropped up since the Narendra Modi government passed the Aadhaar Act in 2016. In 2017, the Aadhaar Act came under the scanner of the Supreme Court when pleas challenging the validity of Aadhaar were filed with the right to privacy attached to it. A nine-judge bench then pronounced its verdict saying that the right to privacy was inherent in the right to life, liberty and speech, but not without ‘reasonable curbs’ when it came to national security, fighting crime and distribution of state benefits. The judgment became the standard for Aadhaar’s validity. Critics have since opposed the move as an 'intrusive tool open to misuse' by the government. Why is Wednesday's verdict important? The Supreme Court is likely to pronounce today its verdict on the constitutional validity of Aadhaar. It will rule if it is legal to make Aadhaar mandatory to access government subsidies. The apex court will also decide if the method by which the Aadhaar Act became a law was constitutional, since it an Act after it was tabled and passed as a money bill in Lok Sabha which is only required to pass in the lower house. Who will pronounce the landmark judgement? A five-judge Constitution Bench comprising Chief Justice Dipak Misra and Justices A K Sikri, A M Khanwilkar, D Y Chandrachud and Ashok Bhushan had reserved its verdict on May 11 after hearing the arguments for 38 days starting January 17.